On her Patagone Expedition, Stevie Anna will cover the over 1,000 mile length of Patagonia on horseback. Fully embracing the idea of “slow travel,” she is aiming to discover, document and share Patagonia’s distant past, fascinating present and compelling future. In a land that resists exploration by more modern means, traditional horse-packing is perhaps the most authentic way for a traveler to experience Patagonia. On Stevie’s 4-month expedition, she will write and blog in both English and Spanish and share her experience as she rides. Stevie is hoping to provide her followers a chance to step back in time while exploring the culture and the rugged, unforgiving landscape of one of the last untouched places on earth. Stevie’s home on the trail will be her Hilleberg Nallo 3 GT, which will provide critical shelter from the demanding Patagonian weather. The Nallo 3 GT’s large vestibule and roomy interior offers plenty of space for her, her gear and her dog Darcie, and it will also will serve as her impromptu “office” from which she can post her travel updates. Hilleberg USA - How it came to be. 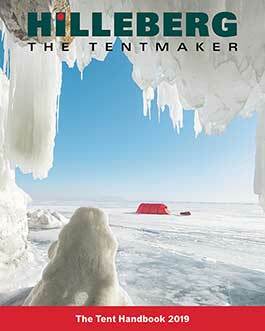 Renate Hilleberg – the key that brought Hilleberg tents to life. How do I attach the Footprint?